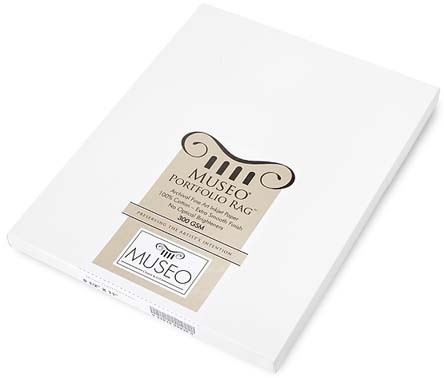 Museo® Portfolio Rag™ combines an extra smooth cotton base from Crane & Co. with advanced coating to bring you a paper that feels luxurious and provides world-class image quality. 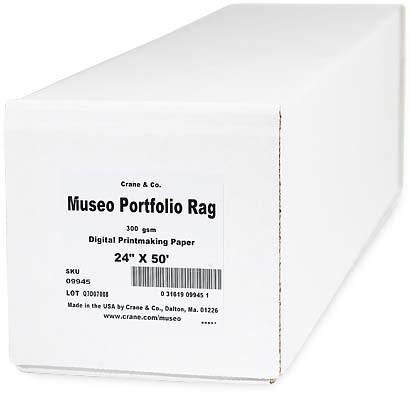 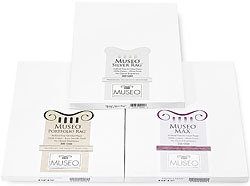 Use Museo® Portfolio Rag™ for your museum exhibition and portfolio prints and when you need exceptional tonal range on a surface that will not detract from your photographic images. Crafted for professional use, the 100% cotton base from Crane & Co. is pH-neutral, acid free, and brightener free, which means your gallery-worthy images will retain their bold colors and tonal subtleness for generations.